The following student-athletes have been shortlisted for the Athlete CRUSH College Impact Random Acts of Kindness (RAK) Award: David Long, Loretta Blaut, Nick Grismer, and Sahara Gipson. The Random Acts of Kindness Award is given to someone who has done something just out of their good nature. These nominees did this good deed in order to be a good person and because they believed it was the right thing to do. To them, making someone’s day was the goal of this act. Read about our nominees below! Introducing our first nominee, David Long. David is a football player at West Virginia University. 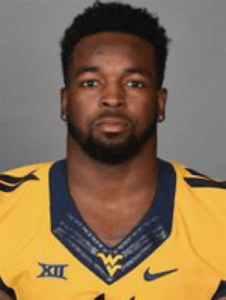 While the West Virginia University Football team was in Dallas, TX, preparing for the Heart of Dallas Bowl on Christmas Day in 2017, staff and families noticed David going back and forth from the hotel carrying containers of food. He had been putting the containers in a basket attached to a bicycle that he obtained from the city’s bike share system. He then transported the food to a local homeless shelter. Although the weather that day was cold, that didn’t stop him from going back and forth on numerous occasions to make sure people had a meal on Christmas Day. This story makes David a fantastic candidate for the Random Acts of Kindness (RAK) Award! Second on the list is Loretta Blaut. 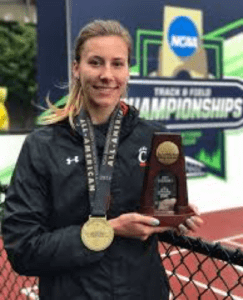 Loretta is a senior on the Track & Field/Cross Country team at the University of Cincinnati. She qualified for the 2016 Olympic trials for the USA Track & Field team and also received numerous athletic awards for her outstanding performances in women’s high jump. Not only is she a phenomenal athlete, Loretta is passionate about aiding the less fortunate. Helping others made her realize that there was much more to life than material possessions. So, she tries to donate her time to others whenever possible. Loretta has participated in various events such as Girls on The Run, Bearcat Community Outreach, and various City Gospel Mission initiatives. As a result of her efforts, she has been shortlisted for the Random Act of Kindness (RAK) award! The third nominee demonstrates that a random act of kindness doesn’t need to be just a one-time thing. 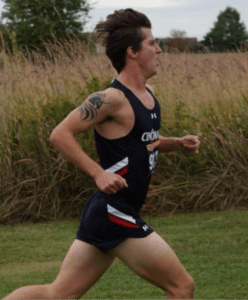 Nick Grismer, a cross-country runner at the University of Cincinnati, donates a lot of his time throughout the year to help the community. Nick was taught by his parents at a young age that it was necessary to help others. He took this to heart and started volunteering at the age of 8 for his local church. His giving didn’t stop there, during his college career he has helped flood victims along the Ohio River, made PB&J sandwiches for a local retirement village, and collected, sorted, and packaged donated items for distribution. Due to the vast range of selfless activities he has performed, we believe that he is a great candidate for the Random Act of Kindness (RAK) Award! Finally, let’s meet Sahara Gipson. 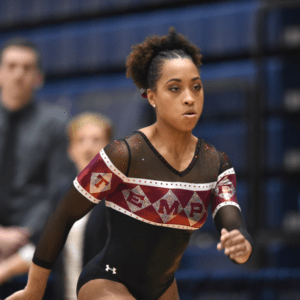 Sahara is a senior co-captain on the Temple University Women’s Gymnastics team and advanced to the NCAA regionals as a vault specialist this year. Sahara’s presence has been felt outside the confines of Temple University as she has organized and participated in multiple community service initiatives, such as ‘Power Hour’, AIDS Walk Philly, and Gift of Life Donor House. In addition, Sahara has exemplified her leadership skills by serving as the Vice President of her Sorority: ‘Delta Sigma Theta Incorporated.’ Sahara also has multiple internships under her belt including a PR internship with the office of the City, an external marketing internship with Rec Philly, a Campus Ambassador internship with Pretty Girls Sweat, as well as a project internship with Box Girls International in South Africa. As you can tell from those positions, she is always trying to help others. For that reason, she’s a fantastic candidate for the Random Act of Kindness (RAK) Award! Make sure to sign up for our newsletter, to stay in the loop about all things Athlete CRUSH, and to stay up-to-date with the Athlete CRUSH College Impact Awards! We guarantee, no spam!